Milen Ivanov is a founder and conductor of “Eva Quartet”, composed of the singers of the famous choir "The Mystery Of Bulgarian Voices". Under his direction, the quartet takes on a own professional image and quickly establishes itself as one of the main folk chamber formations. With works included in Marcel Celliers fourth album in the series "The Mystery Of Bulgarian Voices" (Le Mystere Des Voix Bulgares) and the album "Spiritus" of PolyGram, "Eva Quartet" and Milen Ivanov boast numerous prestigious exhibitions in Bulgaria and around the world. In 2003 they performed the soundtrack of the historical saga "Stara Bashn" of the well-known Polish composer Krzesimir Debski. 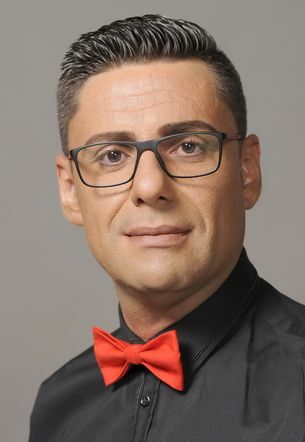 Since 2000, Milen Ivanov is also the conductor of the academic choir of mixed voices "Slavianski Zvuzi", with which recorded several works for the National Radio and performed in numerous concerts in Spain, Holland, Hungary, Greece, Turkey, Macedonia.